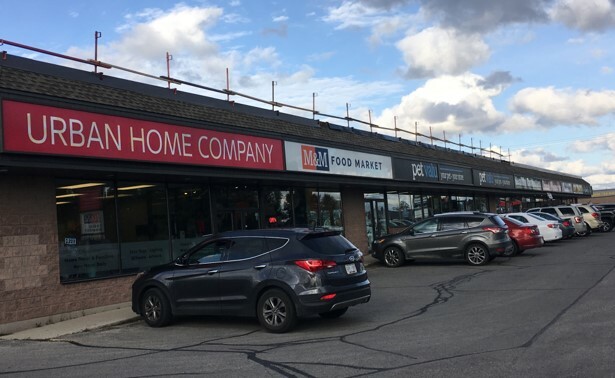 Fraser Vrenjak at Cushman & Wakefield Waterloo Region is marketing for lease a 2,319 square foot end cap unit in a neighbourhood plaza at 732 Tenth St., between 20th Ave. and 22nd Ave. in Hanover in Grey County in Southwestern Ontario. Located on the main commercial corridor, the co-tenants include PetValu, M&M Food Market, Edward Jones, etc. Over 9,300 people live within ten minutes of the site and the daytime population in the area is more than 10,800 people. The average household income within a 15-minute radius is in excess of $74,000 per year.